1. all the items are produced by the buyer's design or sample. 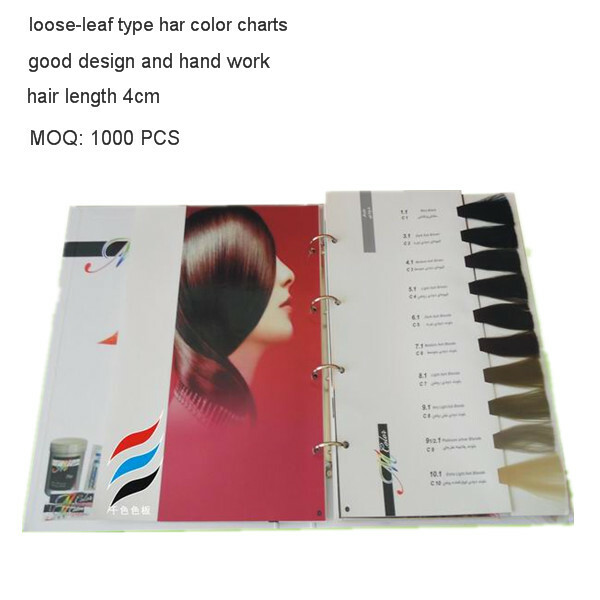 2. hair swatches are dyed by the buyer's sample, the type have embossed Italian mixing color hair and glossy single color hair. 3. printing cover is produced by the buyer's design, UV printing is accepted. the cover paper have coated paper and art paper laminated matt plastic film or glossy plastic film. 4. inner board are 5 layer corrugated paper or grey board. 5. good hand work by experienced workers, timely delivery and good service.